Working on your home to make it the complete realization of your dreams is always a worthwhile effort. When you turn your home into a space where you can pursue your passions and demonstrate the unique person you are, you increase the joy and quality of your life. That’s why it pays to go about your home projects ever so carefully. You want to ensure the results will be to your utmost satisfaction, especially if it’s for something so central – such as a new kitchen. Step 1 – List everything you want your kitchen to have. This is going to be a long list because it should cover everything in terms of the style and the functionalities that you want. Your style images or inspirations. The appliances and pieces of furniture you need in your kitchen. If you want the kitchen to double as a casual dining area for everyday use. If you want it as an area where your children can do their homework with you while you’re making dinner. 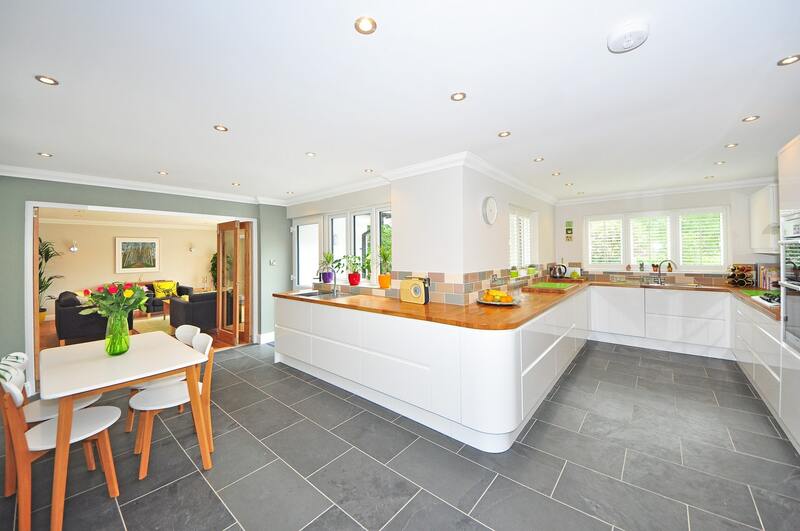 If you want to increase the resale value of your property through the new kitchen. Don’t scrimp on the details of what you want because kitchen designers greatly appreciate having educated clients. A detailed list of kitchen requirements makes the designer’s job considerably easier. With your vision, your designer can inject their own ideas of what can turn the kitchen into everything it’s supposed to be. Step 2 – Collect inspiration. Complement your extensive list with images of kitchens and products that appeal to your personal aesthetics and meet your utility needs. Visit kitchen showrooms and take pictures. Or, you can conduct your research online and create a Pinterest board that you can share with a kitchen designer. Since the information available can be overwhelming, collect and filter actionable tips that are only relevant to your needs, the space available and the styles you lean toward. Having a visual reference will allow you to fine-tune the kitchen design you want. This will also make sure that the elements (materials, color combinations, and others) you fancy for your kitchen work nicely together. Step 3 – Work out your budget. Create an estimate of how much you’re willing to pay for the project. When you’ve established your budget, you’ll have a much better direction in choosing materials to buy. Also, it will prompt you to become more resourceful especially if you’re not willing to change your options just because they’re pricey. For example, you want beautiful wood cabinet doors and can’t see your kitchen without them, but your budget is only good for vinyl doors. A kitchen designer can help identify alternative materials to help make that established budget work for you. Step 4 – Find the kitchen pros to work with. You’ve already laid down the foundation for your new kitchen project. It’s time to go and find the kitchen designer and installations experts who’ll turn your plans into reality. Finding the right kitchen installation team can take some time, especially if you live in an urban area where new homes are always getting built. There definitely are more of these experts to compare with one another. The key is to find professionals who have a good industry reputation. You want them to have an impressive work portfolio. You want to know that they are appreciated and have good reviews by their former clients. By choosing the right kitchen pros to work with, you can have the assurance of high service quality and the results you want. Step 5 – Meet with your kitchen installation team. The meeting is crucial to ensure a smooth process that accomplishes the goals of the project. Have them measure up the space, and then discuss the potential issues that may arise. You have to make sure that every member understands your complete set of requirements. At the same time, developing a good kitchen plan with your team presents the perfect opportunity to clarify expectations and agree on the necessary compromises to solve inherent issues. It’s worth noting as well that during the meeting, you’ll most likely learn about your other options. Since you’ll be sitting down with people who have done countless kitchen designs and installations, they can present to you some trends that are aligned with your style preferences and functional needs for the room. Step 6 – Create a realistic time frame for the project together (and brace yourself for some delays). This is a fact that any kitchen design, renovation expert or installer can attest to –every new room project deals with delays. Work this into the plan so you don’t get discouraged. Some of the causes of delay in the project are situations that you and your kitchen team have no control over, such as supplier issues. Deliveries may not come on time, but this risk is reduced when you’re working with established kitchen experts as they most likely already have a good relationship with trusted suppliers. You can also work with established kitchen companies that manufacture the cabinets so you can guarantee an on-time delivery. Additionally, correcting construction mistakes can also change the timeframe for work because it’s essentially a duplicate effort. Step 7 – View kitchen materials with your designer. Personally look at products and materials from kitchen suppliers. This activity will prove eye-opening. It’s always beneficial to inspect such items with someone who knows the valuable details behind them, such as the beautiful possibilities they offer in terms of style and use. This will also educate you on how certain available options are worth your money or not. Expect to see the latest innovative solutions as well – kitchen components that you simply didn’t know about before but are worth considering. You’ll likewise get a bunch of ideas for the finishing touches so that your new kitchen will be everything you’ve always wanted and more. With thoughtful planning, this project can be a generally joyful journey. So, before launching into the work of a new kitchen, dedicate time and effort to planning as much as you can for it. Get a notebook and fill it with your ideas and concerns. A new kitchen is a huge undertaking and it needs to be tackled with proper focus and perspective. Toby Walker is the Director and Operations Manager of Zesta Kitchens. With over 30 years of industry experience (having previously operated Nobby Kitchens and Bunnings Warehouse Kitchen Centres), Toby’s passion is providing a unique customer kitchen renovation experience, and this filters through the business to ensure a quality product with an on-time kitchen renovation. This entry was posted in Kitchen Design and tagged designer, Kitchen Design, kitchen installation, kitchen materials, kitchen pros, kitchen suppliers, planning, renovation expert. Bookmark the permalink. Subscribe to Newsletter by emailing us!